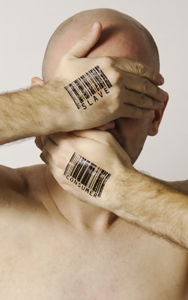 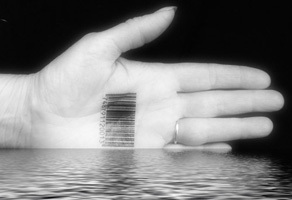 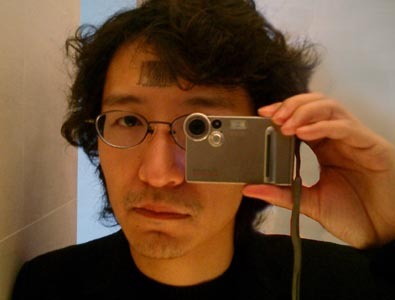 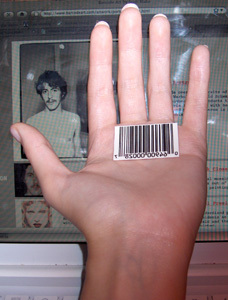 Tired of waiting for biometrics and chip implantation to be commonplace? 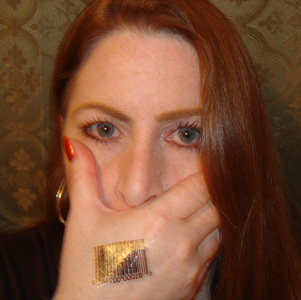 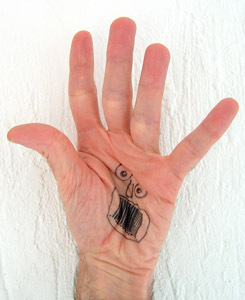 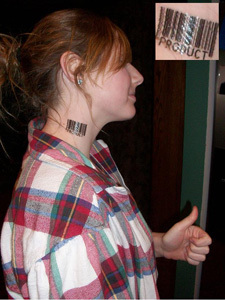 Wile away the hours dreaming of better days to come with these fun, temporary tattoos. 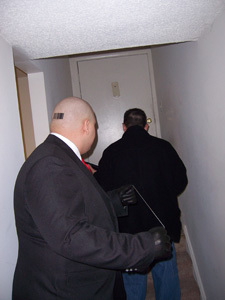 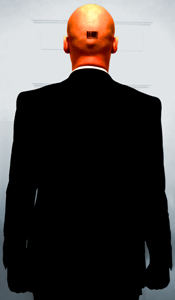 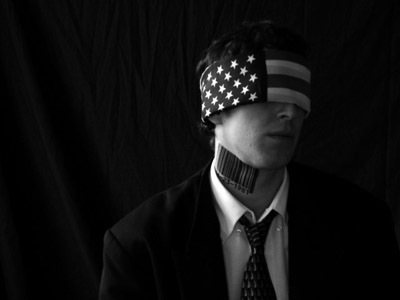 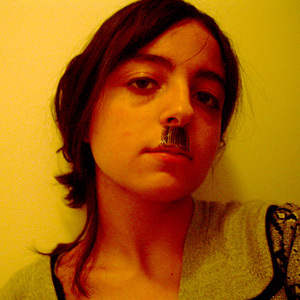 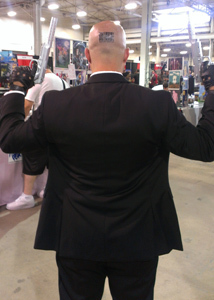 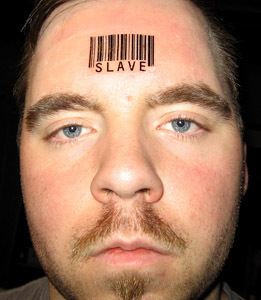 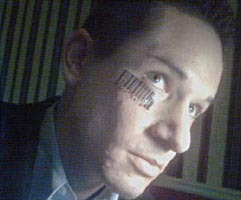 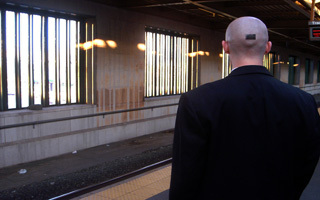 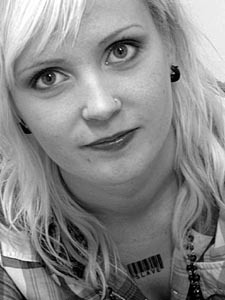 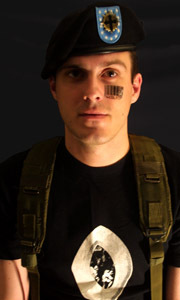 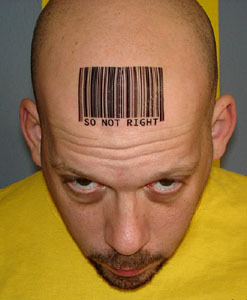 Go for a traditional look on the forehead or palm, or exercise your freedom to wear the mark anywhere you choose. 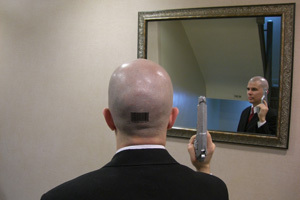 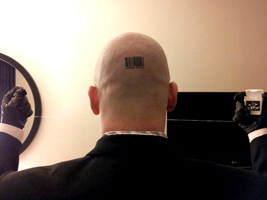 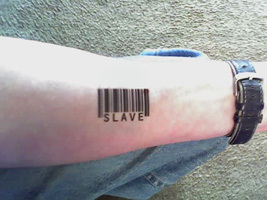 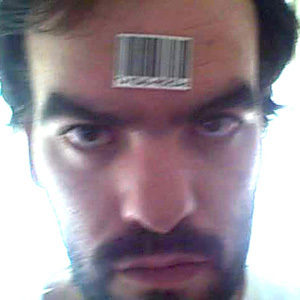 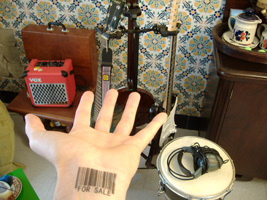 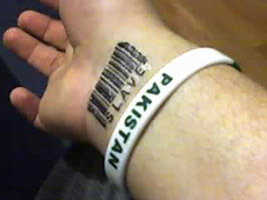 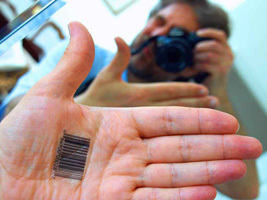 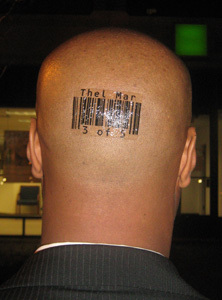 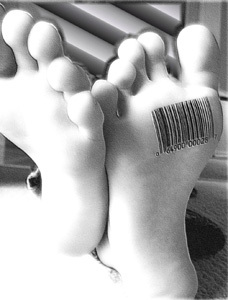 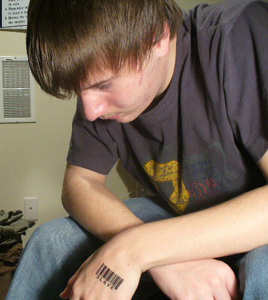 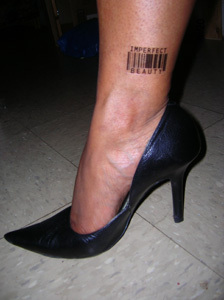 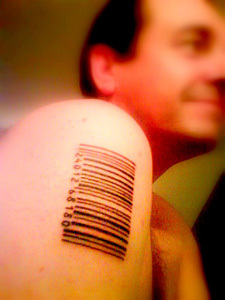 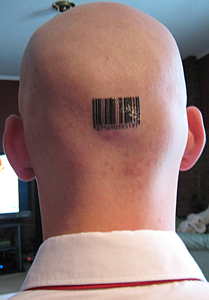 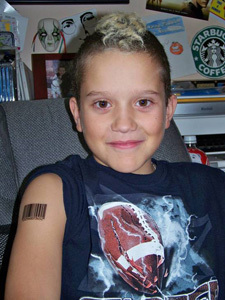 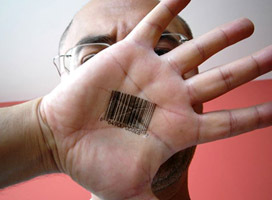 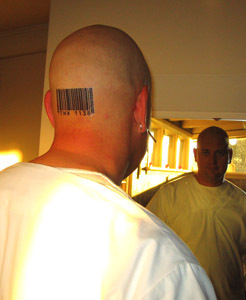 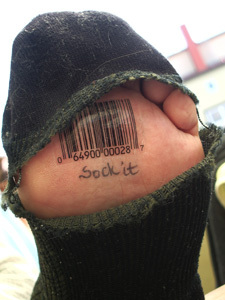 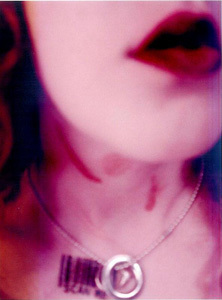 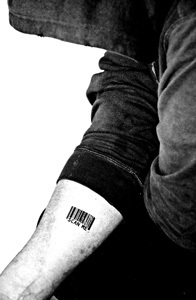 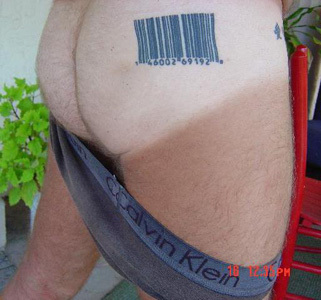 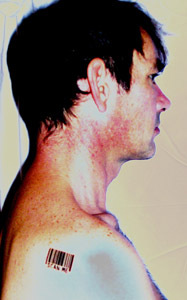 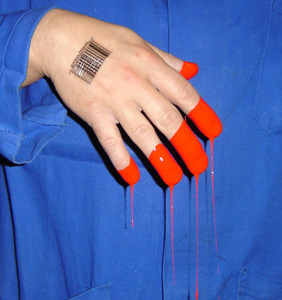 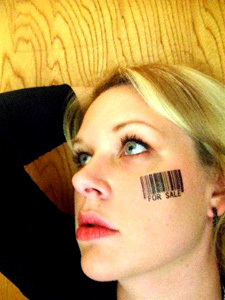 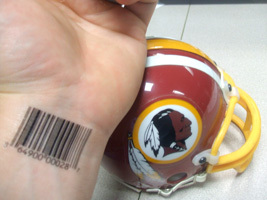 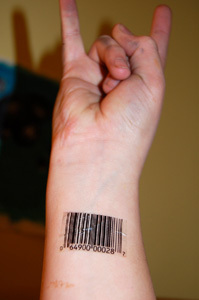 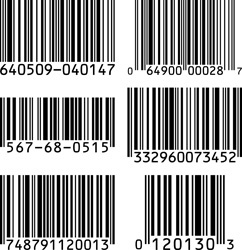 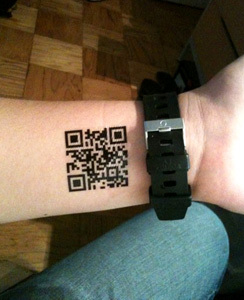 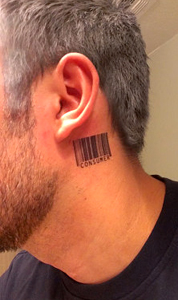 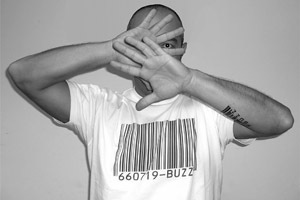 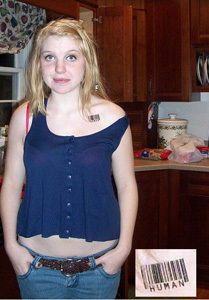 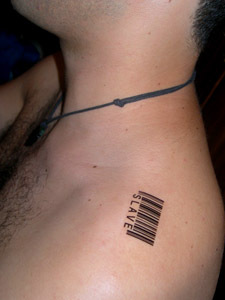 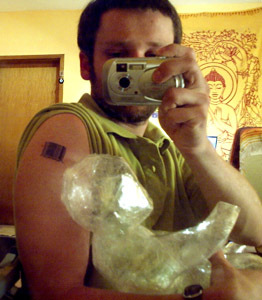 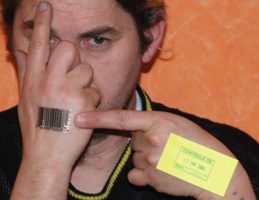 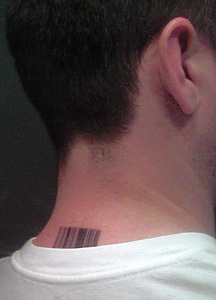 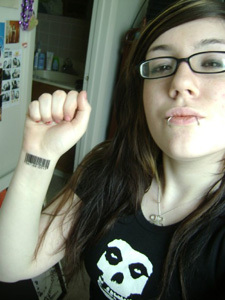 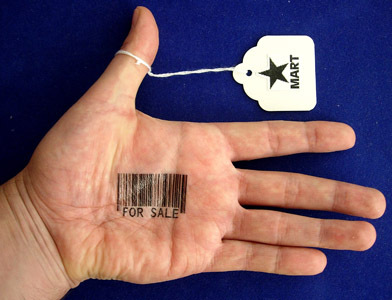 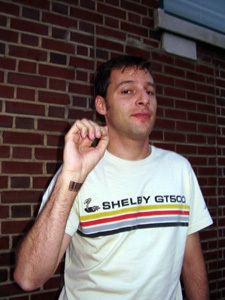 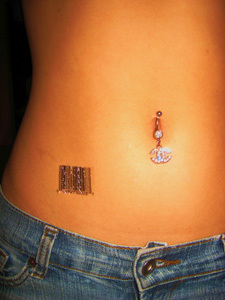 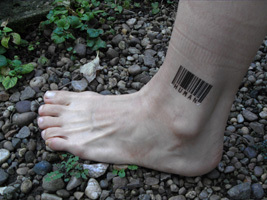 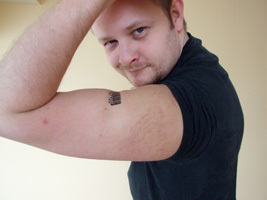 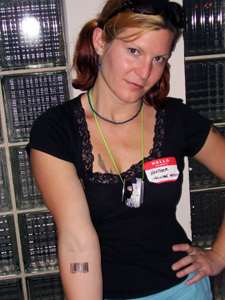 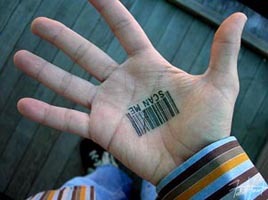 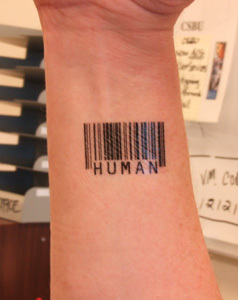 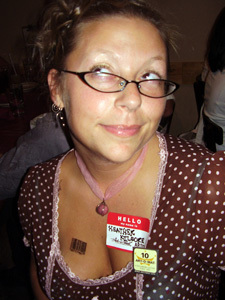 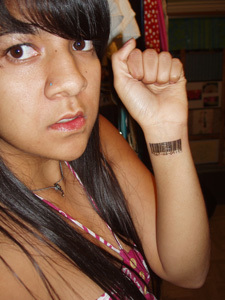 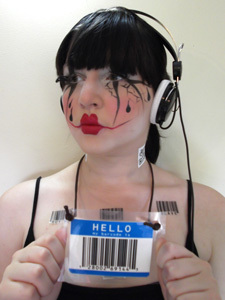 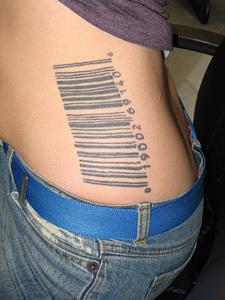 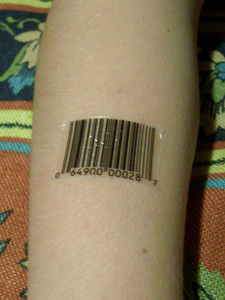 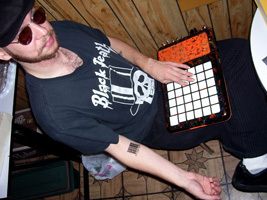 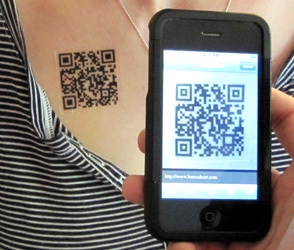 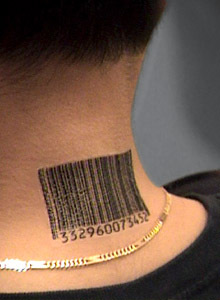 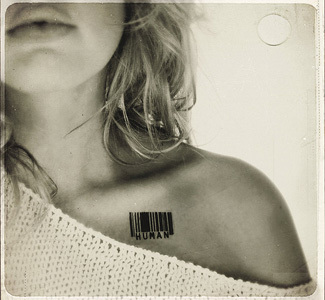 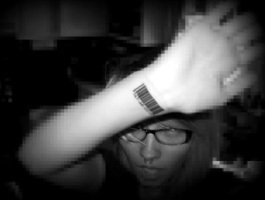 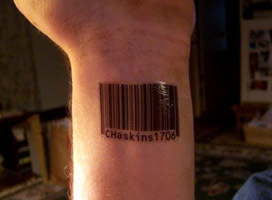 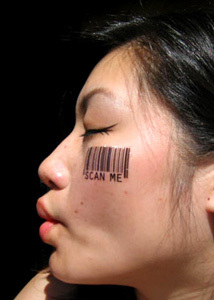 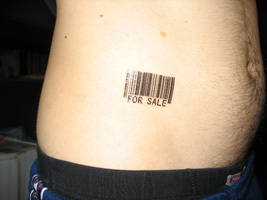 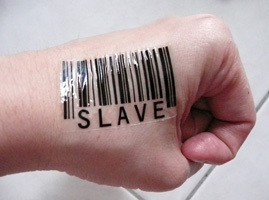 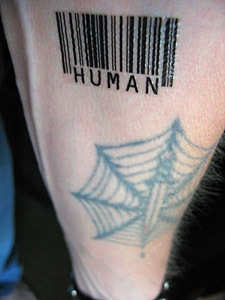 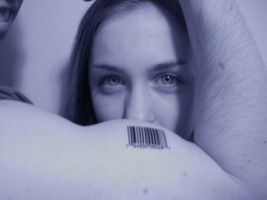 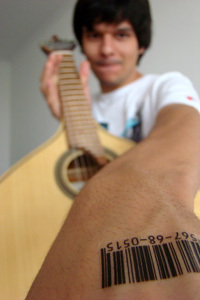 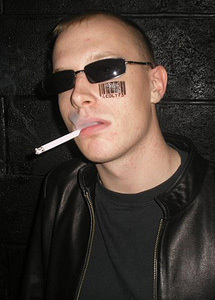 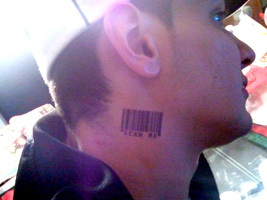 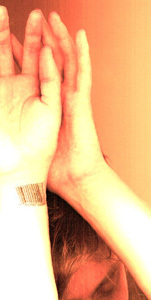 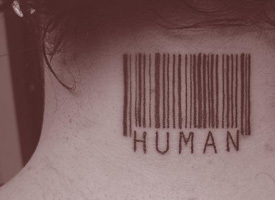 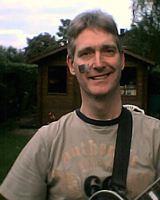 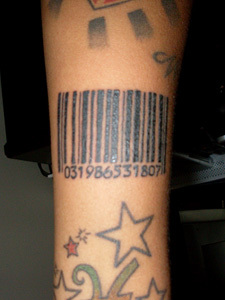 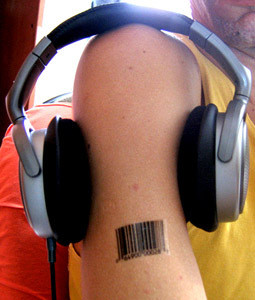 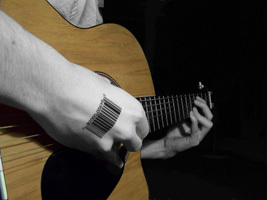 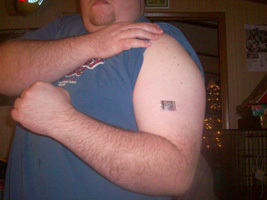 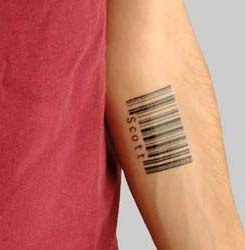 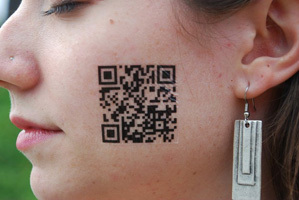 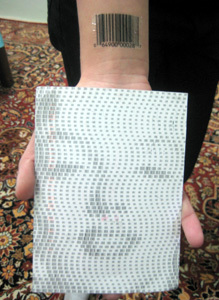 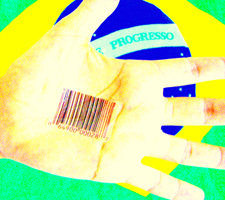 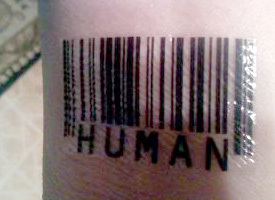 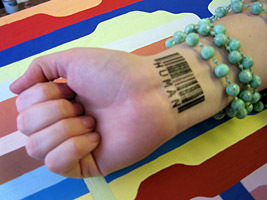 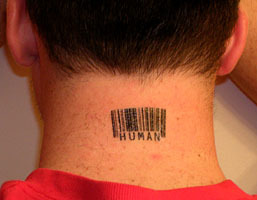 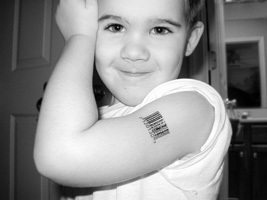 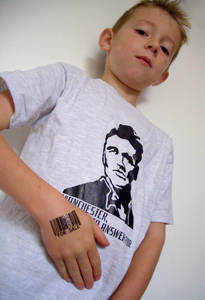 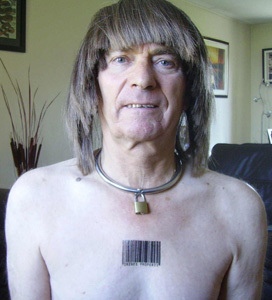 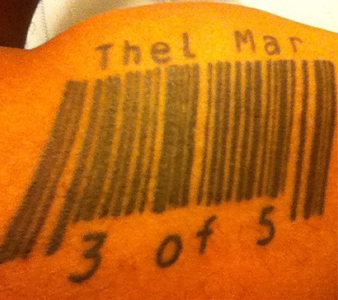 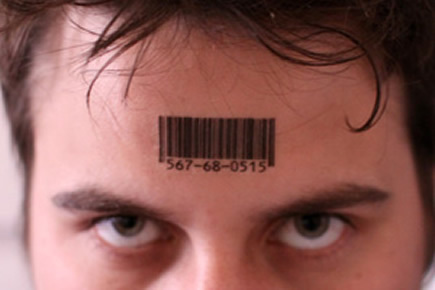 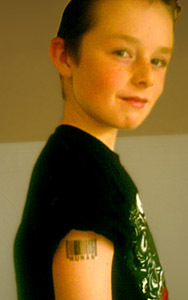 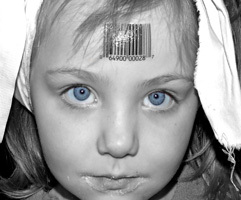 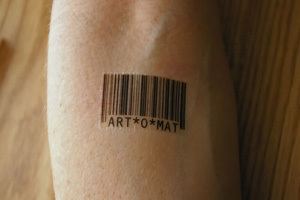 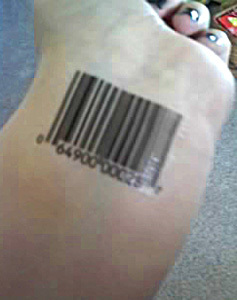 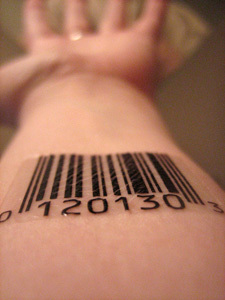 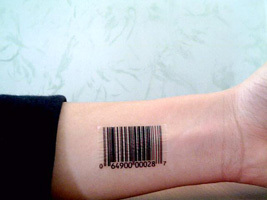 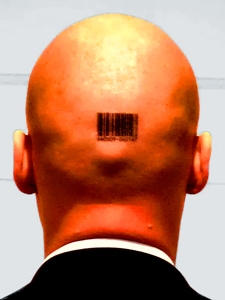 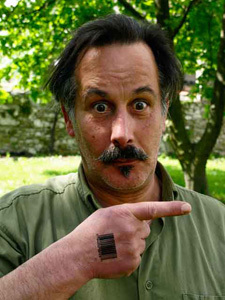 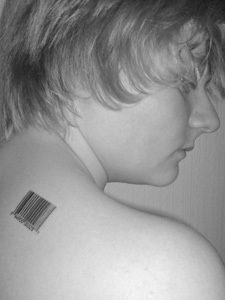 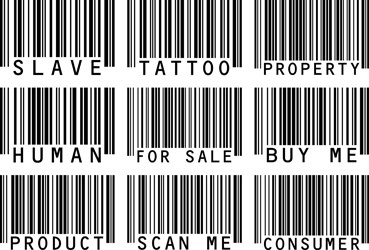 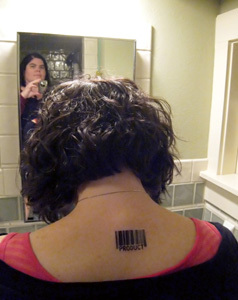 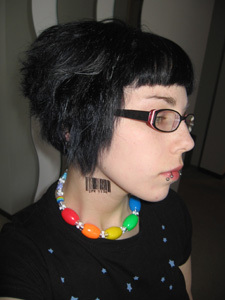 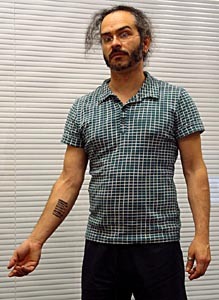 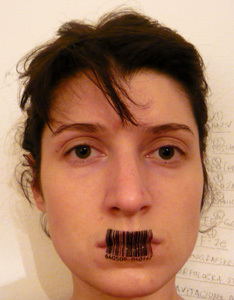 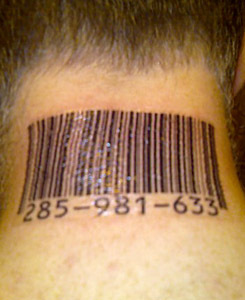 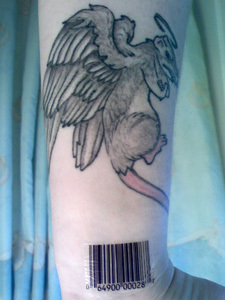 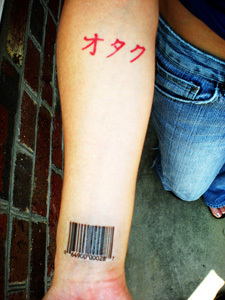 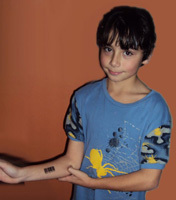 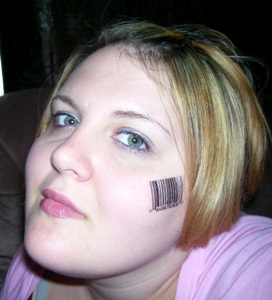 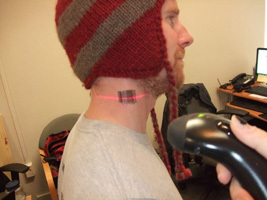 Some other notable barcode tattoos.